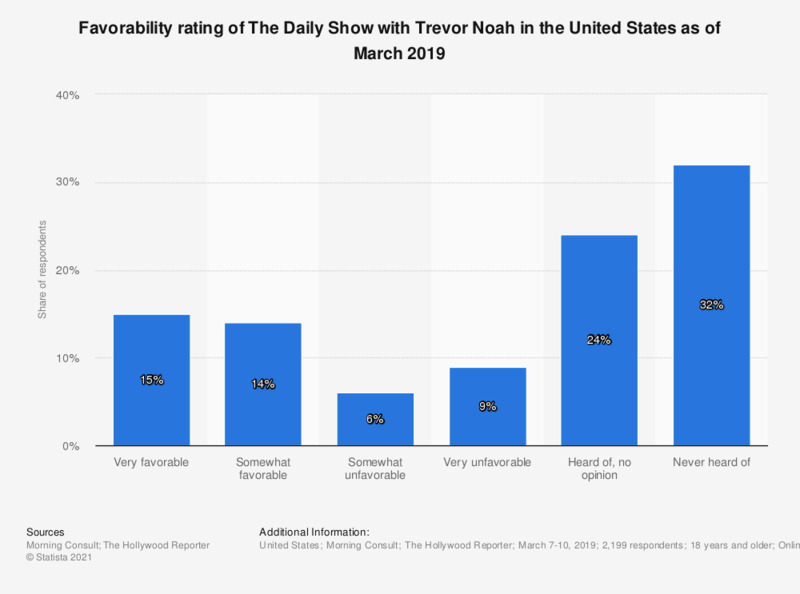 This statistic shows the favorability rating of The Daily Show with Trevor Noah in the United States as of March 2019. Around 15 percent of respondents stated that they had a very favorable opinion of The Daily Show with Trevor Noah as of March 2019, with a further 14 percent reporting a somewhat favorable opinion. This question was phrased by the source as follows: "Do you have a favorable or unfavorable opinion of each of the following TV shows?"